Last year was a transformative year for me. 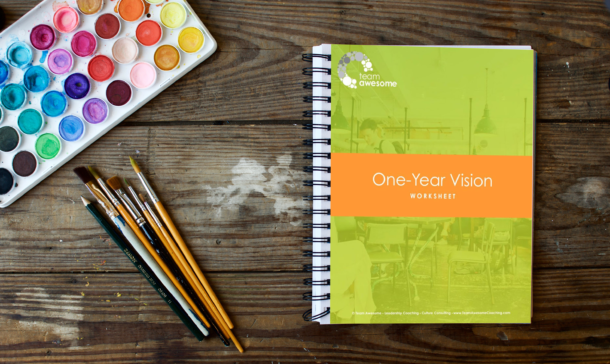 I was still in my first year of owning my own business and I learned a LOT about myself in the process. I came to fully understand my personality, learned about and became comfortable with being an introvert, allowed myself the permission and runway to play bigger in life, and basically transformed into a new person. It’s not that I don’t even recognize myself now, it is that I don’t recognize myself three years ago. I am home. Centered. Whole. This transformation all came to a head at one point, and the story of “Uncovering the High-Achieving Introvert” was born. My personal journey of self-discovery and turning it into something great became the subject of my TEDx Talk of that title that I delivered in September 2017 in Milwaukee, Wisconsin. It was the truest I have ever been in my life. I was proud to have accomplished that personal milestone to give a talk on the infamous red circle. As I was preparing for the talk and deep in my own self-reflection, I couldn’t help but feel like there was more to learn and more to say than 18 minutes would allow on the TEDx stage. Ugh, utter moment of truth. I thought for a moment and said, well, I guess I have always thought about writing a book someday. By the end of that hour-long coaching session, I was going to write a book. One thing that is true for me is that I have to absolutely buy in and fully commit before I actually say I am going to do something. And then if I arrive at that level of commitment and say I am going to do it, I do. I simply do not botch those commitments. It took me a bit of contemplation, and within a matter of days, it was decided. I would write a book. Not later, but now. Over the following weeks, I read up about how to write a book, plotted out the outline, and made a plan for how much I would write each week and when I would finish. The first day I sat down to write was a little daunting. I had written a lot of blog posts, but never anything like this. Over several months, I worked hard to consistently hold time and space to write. I made sure that I kept the hours each week that I needed to write sacred (for the most part) on the calendar. This wasn’t easy, particularly during the eight weeks or so I was in the first trimester of pregnancy and felt too nauseous to concentrate on writing. It was a good thing I had built some buffer weeks into “the plan”. While I was never ready to call myself an “author” just yet, a funny thing happened. I really enjoyed the time that I spent writing, and the opportunity to hold creative time and space for the book. When I handed in my first manuscript for editing, I felt a mixture of accomplishment and melancholy at the idea that I didn’t have any project to sit and write anymore. I liked this new form of creation that I had never tried before. Of course, I realize that this just means that I will write more books in the future. After much reading, writing, editing and re-editing, the book is actually here! 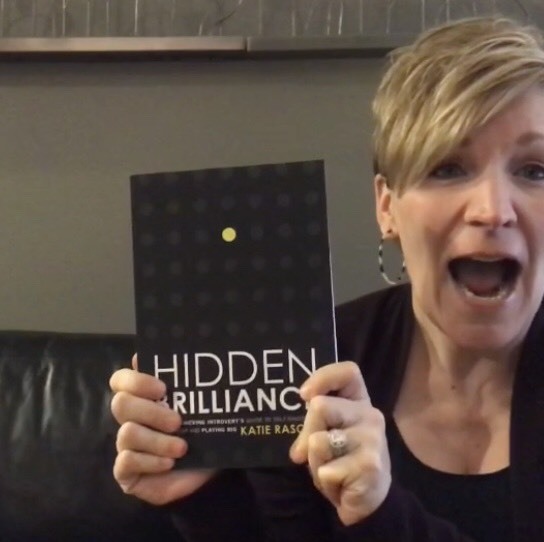 Hidden Brilliance: A High-Achieving Introvert’s Guide to Self-Discovery, Leadership and Playing Big has just launched, and I am so happy that it is out in the universe. I will admit though that I had a moment of panic the week before it published when I realized for the first time that people would actually now have to read the book. Before now, it was carefully handed to a few close friends and supporters who would be advocates no matter what. No turning back at this point, even if I did have an introvert freak out moment. Writing the book was actually the simple part. The rest is where all of the complexity (and where a lot of authors get stuck) comes in. Between uncertainty about how to edit, launch or market a book and simply pushing through the days that lack writing motivation, it is easy to lose steam. Luckily, I have a bucket of trained professionals making it great where I wouldn’t know what to do. I really struggle with celebrating the milestones, and truly stopping to appreciate the big ones along the way. I am often unimpressed and just keep moving to the next thing, but during this process I felt an overwhelming sense of excitement and energy several times. I was taken aback the moment I submitted the manuscript for the first time, the moment I saw the completed book cover with my name on it, and the first time I saw the book in PDF format where the interior design actually looked like a real book instead of a Word document. In each of these moments I felt a surge of “This. Is. Real.” This week I held the physical copy of the book in my hand for the first time, filled with joy. It all began with a moment, a shift in mindset. A realization about myself that couldn’t be unseen. And that became an “Idea Worth Spreading” on the TEDx stage, and that became a story worth expanding upon in my first (and not last) book. I have immense gratitude for everyone who has been part of the support process to arrive at this point. Go forth and be the real you. Here is the real me. Find Hidden Brilliance: A High-Achieving Introvert’s Guide to Self-Discovery, Leadership and Playing Big on Amazon in eBook (with an added freebie! ), paperback and hardcover.